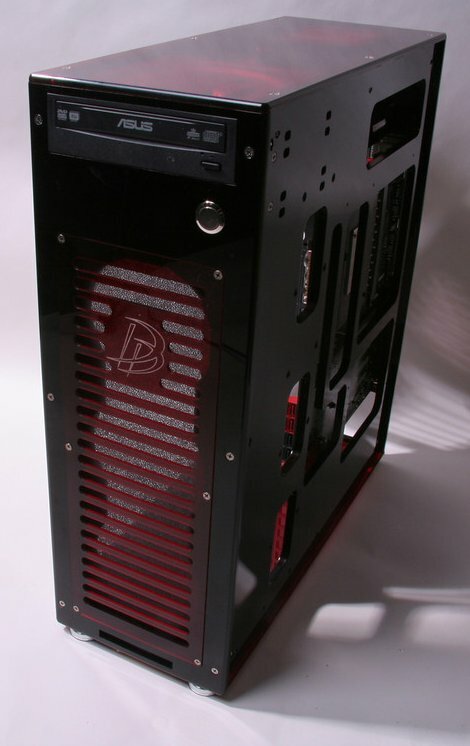 Danger Den introduced the Q20 Black Series, a new case with a high degree of configurability. Prices start at $269.99. The color cases options are back at Danger Den with the new Q20 Black Series Case! The Q20 has standard color options for the top and bottom panels as well as the front and back grills. Now you can easily match your case color to your planned modding theme! The front grill allows the Q20 to have an air filter that can easily be removed and blown off, keeping the dust out of your case! The internal fan shroud can be configured to mount 120mm or 140mm fans. If you want to liquid cool you can match the radiator to the fans. Do you want to show off your top of the line video card? You can also have the case configured in the “BTX” form factor. If you spend that much money on a video card and liquid cooling block you want people to see it! The case stands at 20.75” tall x 7.3” wide x 18.2” deep (527mm x 185m x 462mm). It supports up to four 3 ½” internal drives, three SSD drives, and two external 5-1/4” drive bays. CPU air coolers of 5.5” (140mm) are supported also. Case Color Configuration options (Top, Bottom, and Grills change with color configuration. 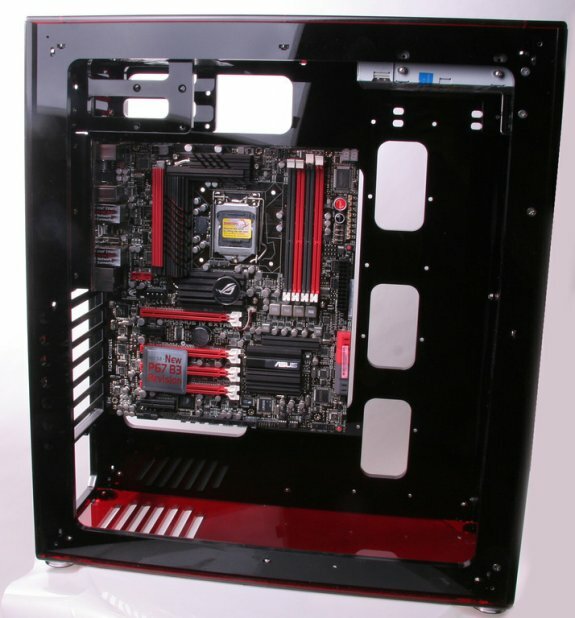 Front, Back, Side Frame and Mobo tray are Black. Front Fan Grill and Right Side Frame are etched with Danger Den logos. Color options for the top and bottom panels - a great way to show off your custom computer build. Inset grills on the front and back panel in a wide range of colors. These can be changed out to suit your build, your mood, or the season! High Performance Filter (included) fits neatly between mounted fans and inset grills. You now have the option for BTX (inverted ATX) motherboard mounting.